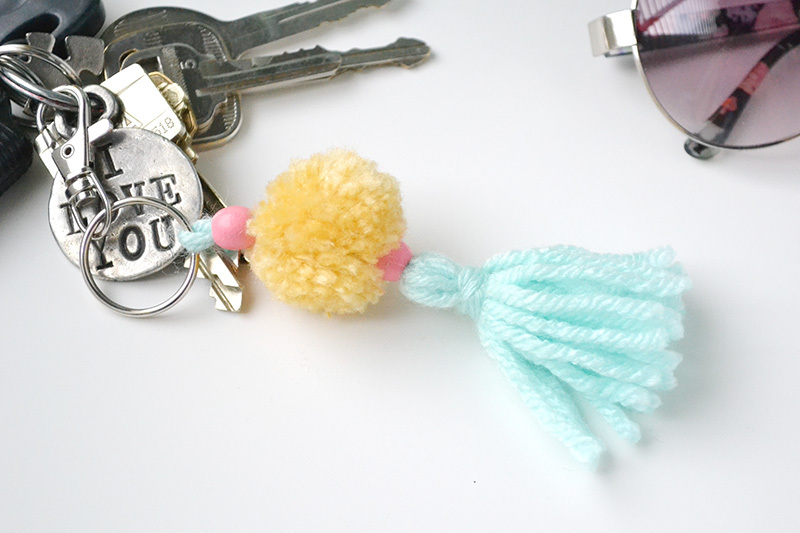 Recently I shared a fun kids craft idea making pom pom bookmarks for summer reading. We were having so much fun making pom poms, we just went crazy and kept on going. 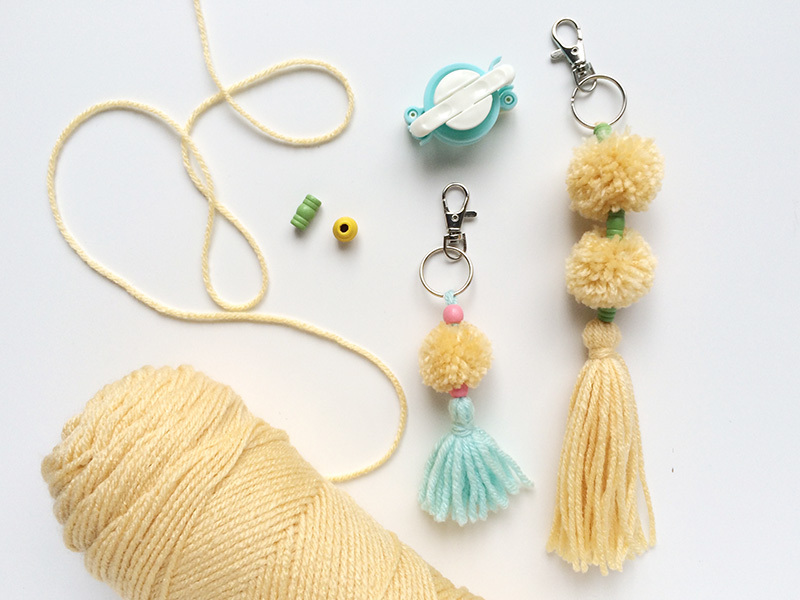 My girls are really into bag and backpack charms right now, so we decided to make some yarn charms. This is a great craft idea for summer camp, youth groups, or just to keep your teens busy over the summer months. It also makes a great handmade gift idea. This post is part of Kids Craft Week on the We R Memory Keepers blog. 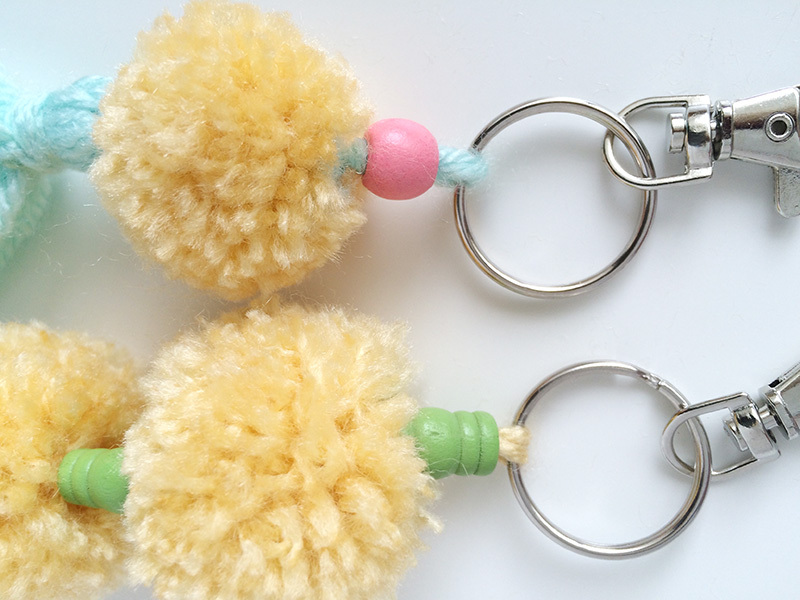 You can catch more photos, plus a video tutorial for how to make pom poms using the DIY Party Pom Pom Maker , on the original post HERE. The We R team put together some amazing kids craft ideas for the summer months, so you should definitely check them out! 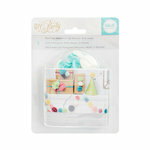 We started by making several pom poms with the DIY Party Pom Pom Maker. Next we made some yarn tassels, and then we added in a few wood beads. 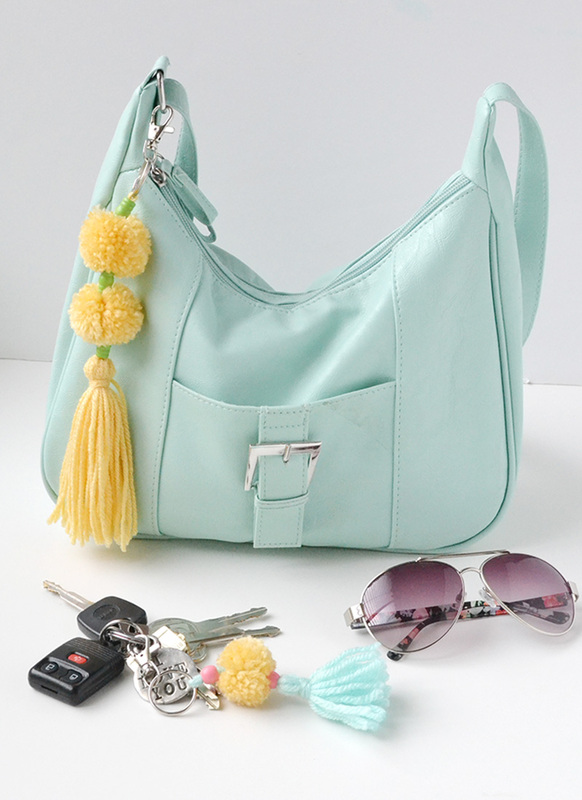 Once finished, we tied the ends of the yarn around a key ring with a large clasp attached. 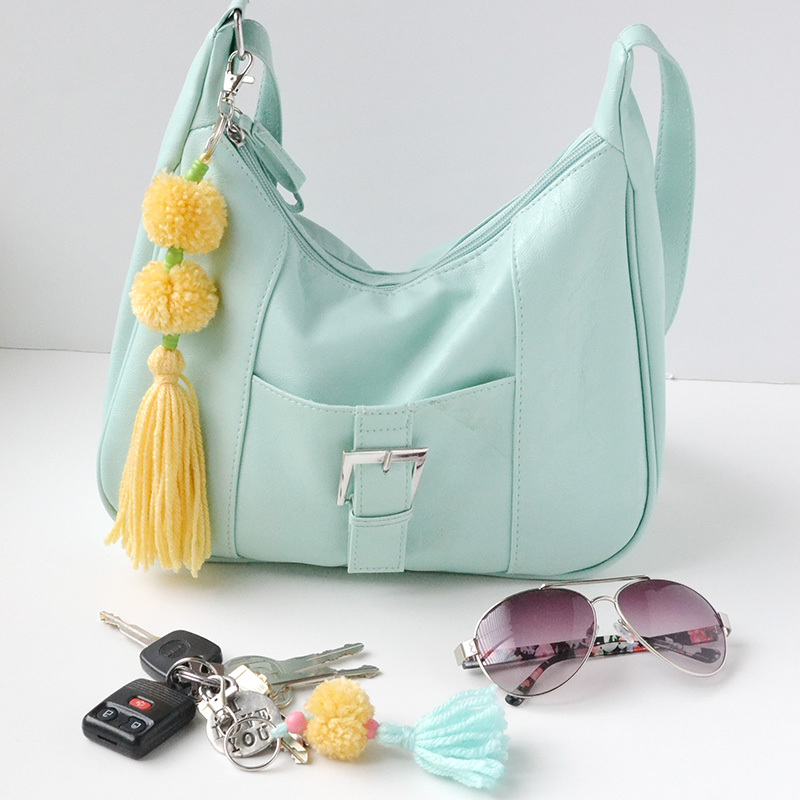 Then we simply attached the clasp on the charms to a bag or a key ring. These charms are fun to make and the possibilities are endless with all the different fibers and yarns available. 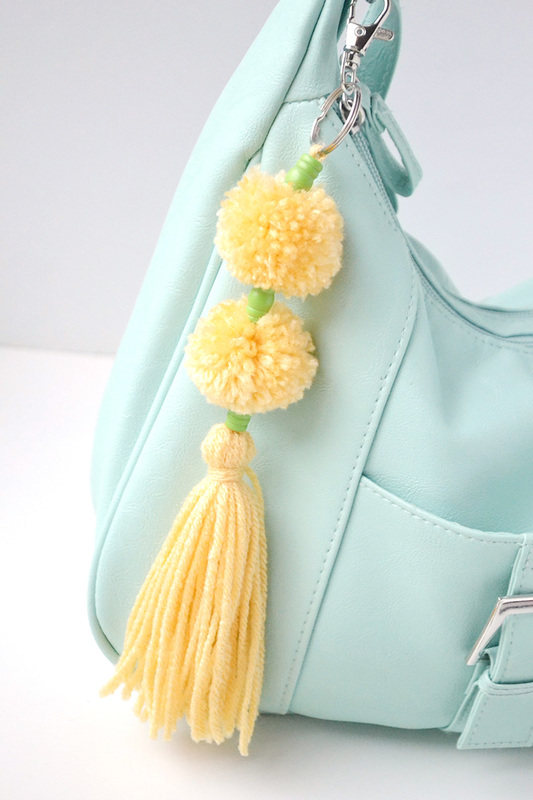 For a different look, try making pom poms and tassels with baker's twine, cotton twine, or floss. You could also try marled or variegated yarn. So fun!